Is your home interior experiencing problems related to your roof? Does it leak when it rains? Or, perhaps you are looking to extend your roof with a home remodel. Whatever it may be, Roof Time, Inc. is your trusted roofing contractor in Minneapolis, St. Paul, and surrounding areas when it comes to any form of roof repair. Roof Damage. Whether it’s one damaged shingle or severe storm damage, you should repair your roof right away. We specialize in roof repairs for residential and commercial roofs. Our company combines our expertise, professionalism, and friendly customer service to make sure that your experience working with us is enjoyable from beginning to end. There is no comparison when it comes to searching for a roofing contractor. We will take the time to answer any questions and walk you through every step of the process. Our trained staff will get things done right the first time, and provide clear expectations. If you need any roof repair services for your home, call us today at 952-447-7663 or click below to get started. We offer free estimates on all our services in Eden Prairie, St. Paul, Minneapolis and nearby in Minnesota! Get A FREE Roof Repair Estimate Today! 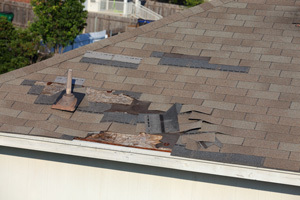 During severe storms, shingles can be seriously damaged by strong winds and hail. Many roofs may require immediate repair or replacement, which is why it’s critical to have your roof inspected after a severe storm. While inspecting your entire property, Roof Time, Inc. searches for missing asphalt shingles, bruises or dented shingles, cracked or broken tile, slate, or concrete shingles, granules collecting in gutters or downspouts, holes, leaks in your roof or ceiling and dents on vents, gutters or flashing. Sometimes a storm can become so severe that there is structural damage to your home. After a tornado for example, your home could have split seams and torn or missing shingles. This can result in serious water damage, which can lead to serious mold formation. Other times, tree limbs could’ve fallen onto your home seriously impacting your home’s structural integrity. No matter what issues you may have, we can provide you with a quality solution that restores the integrity of your roof. "We purchased a home with great bones in West Bloomington, but it was in dire need of updating. We hired Mitch's company to renovate our bathrooms and he did such a great job we hired him to do several subsequent upgrade projects, including replacing our fireplace surround, repairing our driveway, and replacing rotted deck stairs. Mitch was very clear about the cost of the projects before we started the work, and the price he quoted was the price we paid, unless we requested substantial scope changes. All scope changes were negotiated and priced up front, and we paid the quoted prices without surprises. Mitch is very up-front and honest; he is the only workman that keeps keys to our house. Mitch kept to the schedules he promised, so we were able to schedule painting and other follow-on work without a lot of juggling. All told, we hired Mitch to do over $30,000 worth of work in our home. We are very happy with the quality of the work Mitch completed for us, and we would strongly recommend him to other homeowners." "Sold my home and needed some roof repair done before closing. Contacted ***** at Roof Time Inc. and within 2 days he was at my home & up on the roof to look at the repairs needed. He had a crew out with in another 2 days and they did the necessary repairs. After they finished I was gone for a couple hours but when I returned ***** had come over and was up on the roof inspecting. the job done. Charged me what I felt was a very fair price. I will rate him & Roof Time a 10 based on this experience. Timely, Thorough, and responsive." "When our home was damaged this past spring in a storm, we felt bombarded and overwhelmed by shady storm chasers knocking on our door day and night. Thankfully, ***** with Roof Time, Inc. came to us by appointment (don't trust the door knockers!! We have many neighbors who went with these fly by night types and ended up with a giant headache dealing with insurance company woes and incomplete work). We were provided with a hassle-free, ethical and high quality repair experience. I found ***** to be straightforward, honest, available for questions and importantly, a strong advocate for us when dealing with the insurance company. He took the time to explain the entire process and he really went to bat for us to ensure that all the damage was covered by our insurance. All of our repairs where handled in a timely manner on a schedule that worked for us! Our home is like new, you would never know there was any damage, all the materials and workmanship was of the highest quality! We would, without a doubt use Roof Time, Inc. in the future if needed; and recommend this company for anyone needing a contractor to help with home repairs. Thank you ***** and Roof Time Inc.!!" "We had the best experience with Mitch from Roof Time, Inc. We received a post card mailing from Roof Time, Inc. a little over a month ago and contacted them for a free inspection for Hail/Wind damage at our home in Plymouth. Mitch explained the entire claim process to me in great detail. I typically have a lot of questions before I choose any company to work on my home. What he said would happen during the insurance claim happened! A new Roof, some gutters and a repair of some wind damaged soffit. The insurance company covered all the damage. All I had to pay was my $1,000 deductible. Which I felt was a small price to pay for the over $25K worth of work completed at my home. The team arrived when Mitch said they would and all the work was done in one day! They were even able to have the dumpster removed before I came home from work. Outstanding service, Quality workmanship and we will be contacting them in the future for our deck and basement finish. This company deserves every positive review they have online. I just have to say that you will not be dissatisfied if you hire them!!" "Roof Time, Inc. is awesome to deal with. My neighbor recommended ***** with Roof Time, Inc. after we had hundreds of door knockers in our neighborhood after a wind and hail storm. Once ***** put a yard sign in our front yard, it was so nice that all of the solicitation was done! I think Roof Time, Inc. had the majority of our neighborhood on board! The quality of the craftsmanship was excellent. The price of the project was what I had expected even though it was an insurance claim. The owner ***** and his crew were extremely personable and we enjoyed working with them. Would highly recommend!" "My experiences with Roof Time have been great. In September 2015 they replaced a small piece of siding that was missing from my house. Mitch came out and was able to find an exact match for my siding and provided a very reasonable estimate. Mitch went out of his way to combine my order with another so that I didn't have to purchase a full box of siding, which saved me a SIGNIFICANT amount of money. I also used Roof Time in April 2015 to replace some damaged fascia and soffit. I received the same great service at a reasonable price for this repair as well. Both of the jobs were small, but I felt like valued customer I would definitely use Roof Time again and highly recommend them." "Mitch has been a fantastic contractor! We have worked with him on multiple projects, including: roof repair and replacement, exterior painting, and interior water mitigation and repairs. With each project, he has been clear, efficient, knowledgeable, timely and followed through on every promise. In addition, his attention to detail has been unmatched. Mitch has been especially good at ensuring we understand the issues, solutions and next steps. Mitch navigated the complexity of insurance requests with ease (or at least it was easy for us!). He was helpful, kind, trustworthy and an all-around awesome guy to work with." Founded in 1886, GAF has become North America’s largest manufacturer of commercial and residential roofing, growing the company to help property owners & architects to make their best and safest roofing choices while helping supportive distributors and roofing contractors to build their businesses. GAF offers three distinct levels of shingle quality and protection, plus a remarkably affordable slate shingle option. We’ll help you select the one that is right for your home’s design and location. Affordable basic protection for projects on a limited budget. Protect and beautify your home with Timberline®, North America’s #1-selling shingles. Timberline® shingles now have a lifetime limited warranty! Beautiful, stylish, and exceptionally durable, Designer Lifetime shingles will make your home the envy of the neighborhood! CertainTeed manufactures a variety of high quality, durable asphalt roofing systems. Asphalt roofing shingles are the most commonly used covering on residential properties in the market. Asphalt’s primary purpose in roofing shingles is to serve as a waterproofing agent. Asphalt also holds the granules in place and adds to the overall strength of the roofing shingle. The best asphalt will stay flexible and will not dry out or become hard or brittle for the expected life of the roofing shingle. Strip asphalt roofing shingles are single-layered asphalt roofing shingles typically designed to look like slate. Strip roofing shingles are usually the lightest weight asphalt roofing shingles available in the market. Built on a tough fiberglass base, each shingle provides resistance to blow-off and tearing. Dimensional asphalt roofing shingles are manufactured as multi-layered products and provide a thicker and richer appearance on the roof (a multi-dimensional look). Dimensional roofing shingles typically are heavier weight than strip roofing shingles and usually have improved warranty protections, which can range from 30-years to Lifetime. Premium asphalt roofing shingles are usually described as laminated shingles that have a differentiated appearance or functionality from traditional dimensional asphalt roofing shingles. These products may have designs that mimic “old-world” roofing shingles, like natural slate or natural shake roofing shingles. CertainTeed’s Grand Manor™, Presidential Shake™ and Centennial Slate™ shingles are prime examples of premium roofing shingles that provide an enhanced aesthetic appeal. Atlas is an innovative manufacturer of residential and commercial building materials that is dedicated to their customers. Founded in 1982, Atlas has grown into an industry leader and is featured in state of the art facilities around the world. You want to be able to rely on a roofing contractor you can trust, which is why Roof Time, Inc. is here to help you. We solve a wide range of roofing issues, from leak repairs, to emergency roof repairs, damaged shingles, or even signs of wood rot and aging. Call us today to get the right solution for all your roof repair needs. We offer free estimates on all our roofing services in Eden Prairie, St. Paul, Minneapolis, Burnsville, Maple Grove, Prior Lake, Lakeville, Shakopee, Cottage Grove, Apple Valley and throughout the nearby areas.